Pumpkin Chocolate Chip Muffins| Pumpkin Chocolate Chip Muffins are amazing. 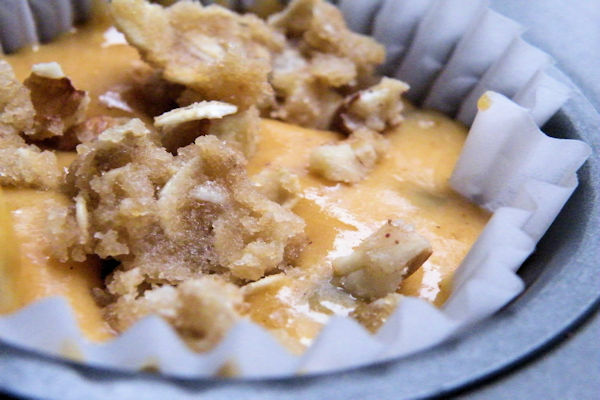 This is the best streusel topping you will ever find. Pumpkin Chocolate Chip Muffins are a delicious combination of some of my very favorite foods. Chocolate, pumpkin, and pecans combine beautifully and then add the streusel topping for a truly perfect muffin. 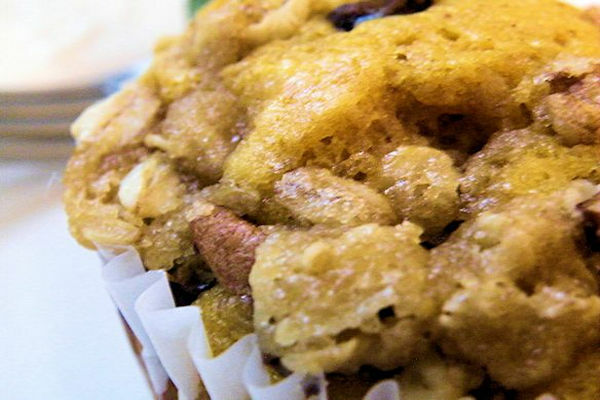 Pumpkin Chocolate Chip Muffins are easy to make especially if you bake them in cupcake papers. I’m not a fan of greasing 30 wells of a cupcake tin. I’d rather be doing something else. Actually anything else. Too tedious. In 2014 I fell victim to the Pumpkin Shortage Scare. Many news reports declared that the shelves would be bare of all canned pumpkin by the upcoming holiday season. I listened intently o the news and made a vow that my family would have their pumpkin pie at Thanksgiving and Christmas. It was like Scarlett O’Hara when she proclaimed that she would never go hungry again. I traveled far and wide scooping up every can of pumpkin I could find. Who cares that I had never used a case of pumpkin before? I needed that pumpkin. I wanted that pumpkin. You can believe me when I say, I was smug and well-stocked. As it turned out, the shortage did not reach my neck of the woods and I had lots of leftover cans of pumpkin in January. Consequently, Pumpkin Chocolate Chip Muffins to the rescue. My family can only eat so many pies including the ones for my brother on his birthday. Steve chooses Pumpkin pie as his favorite birthday treat. Since I had lots of canned pumpkin and since this recipe makes such a large quantity, I had muffins galore. We took them for lunch, we ate them as a fast breakfast, and we consumed them as a midnight snack. We gave them away and froze a few dozen. They were good, but I have parting words of wisdom and here it is. In conclusion, don’t believe everything you hear (profound I know) and always have a better backup plan than the original plan. These Pumpkin Chocolate Chip Muffins are a wonderful backup plan for even the worst of the pumpkin emergencies.